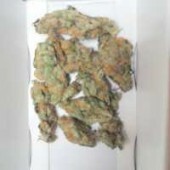 When Kush goes orange you know you will soon go bananas. Orbital, psychedelic, these buds will change the way you think and put you into a dreamy, medicated state. a very strong indica with heady effects, great for night time use. 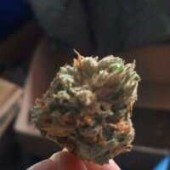 A very strong Sativa that has a slight citrus/peachy taste. Smokes very well, good head/body high mixture. Lasts for quite some time since this stuff is dank and dense. Sticky to the touch and very frosty.